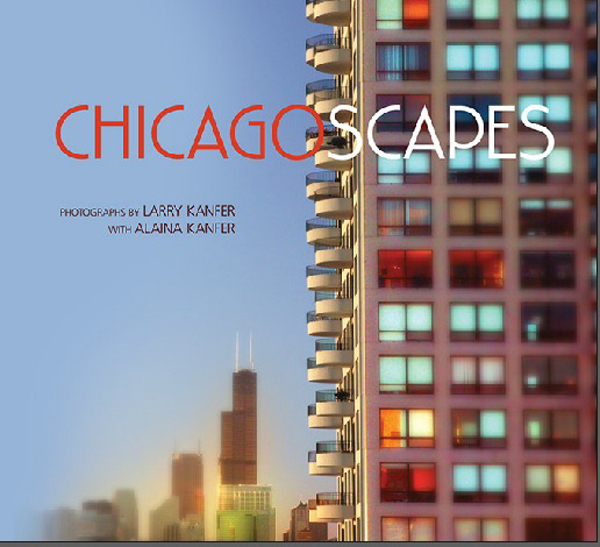 Embrace the grit & glamour of the Windy City with Chicagoscapes, by photographic artist Larry Kanfer. Opening Chicagoscapes propels the reader into the breathtaking grandeur and warm humanity of one of the world's great cities, a metropolis both lavish with its pleasures and as hard as weathered steel. From the deep blues of Lake Michigan to imposing winter cityscapes, from awe-inspiring skyscrapers to corner hot dog joints, and from the lakefront chess obsessives to Maxwell Street's indefatigable vendors, Larry Kanfer brings the mesmerizing sensibility acclaimed in his collections Prairiescapes and On Firm Ground to illuminate the subtleties of mood and forces of nature that make Chicago a city unlike any other. Hardcover. 128 pages.